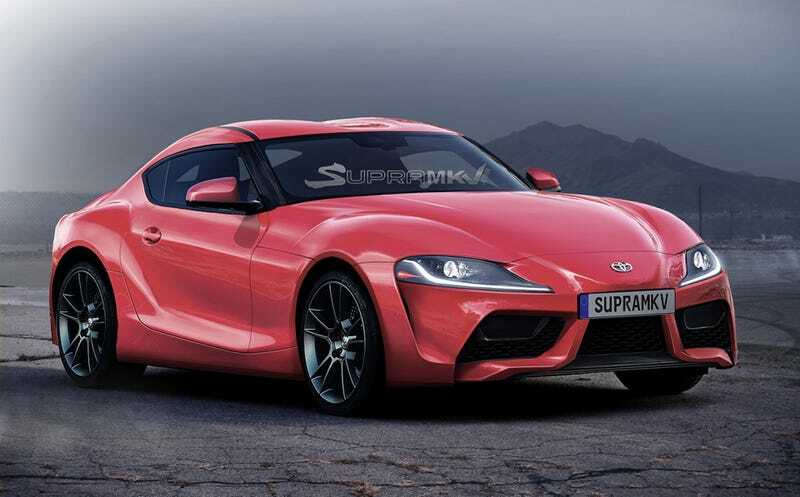 Dont worry, it will be called “Supra.” Though I wish Toyota would troll the US Market only by naming it the Toyota “S-PR.” Actually, that sounds pretty good...uh oh! The BMYotas definitely seem to be running I4 engines and I don’t see any reason they wouldn’t just share it. I also know we’ve seen the 6-cyl versions of both vehicles testing (I don’t think they share a 6-cyl). I havent seen any high performance prototypes yet and honestly I think they are coming after the regular specs instead of leading the charge (that’s a hybrid joke). Now obviously we haven’t seen anything with the next Z car however we know the new powertrains are from the Q50/Q60 and we know the chassis because it’s the same thing Nissan has used for RWD vehicles since 2001. Nissan Z 3.0T - 300 hp / 295 lb-ft. Around 3,250 lbs. [$31,500]. There will be a bunch of tech and sport packages between this engine and the next. I’m still expecting a power bump in there to 340 hp eventually. I also don’t think the 2.0T would be needed for the US since this 3.0T can best 21/30 mpg. Toyota Supra 2.0T - 248 hp / 258 lb-ft and weighing around 2,950 lbs. [$37,000]. I’m favoring Toyota using BMW’s I4. Supra GT 3.0T - 378 hp / 365 lb-ft. Around 3,150 lbs. [$46,000]. I do think Toyota has its own V6 for this car. *Around $55,000, 470 hp, and sort of like Corvette/Z28/GT350 competitors but something is going to be different about them. Likely performance hybrids for under $62,000 (which would be a huge deal). Nissan Z ‘Vert 3.0T - 300 hp / 295 lb-ft. Around 3,350 lbs. [$37,000]. I can see the convertible getting a 2.0T option below this but loaded with standard tech and features. BMW Z4 sDrive30i - 248 hp / 258 lb-ft. Around 3,100 lbs. [$44,500]. Nissan Z ‘Vert 3.0T Nismo - 400 hp / 350 lb-ft. Around 3,450 lbs. [$48,500]. BMW Z4 sDrive40i - 335 hp / 369 lb-ft. Around 3,200 lbs. [$55,000]. Top End (Plus One More, As Is the German Performance Way). Nissan won’t go any higher for their convertible however I’m betting a fixed-roof Z4 will end up appearing with M2 and M4 engines (and only with those two engines) eventually. Those are going to make the Supra hype look extremely tame. I think these make more sense now with the market changes since last year. Pretty much the base Supra is the turbo 86 we always asked for (sans-boxer which there is room for in the next 86). The Z4 becomes a pretty awesome sportscar value, I’m talking the 718 Boxster lineup with a $12,000 discount. Then the Nissan Z does what it can to undercut both. Yes, it will be substantially heavier than the Zupra but it’s still not outrageous once you get off your soapbox and into the driver’s seat. Overall, I’m forseeing a really great match up. Remember all this is just me speculating and I don’t have informants. Nope, I just like looking at market and brand trends that way I don’t overspend on a car and then end up surprised months later when they announce the same car is getting a 4.0L flat-six or street-slicks or a CS version soon.